I’ve been pretty happy with my old rice cooker, a basic, on-off/keep warm Zojirushi model that I’ve had for probably 5 years or so now. It’s maybe a little small, and we have started to eat more whole grains in our family—I’m adding whole wheat flour to more of my baked goods, some of the whole grain pastas are barely distinguishable from their white flour brethren except in a good way, and I’ve decided we are going to eat lots more brown rice. And I’ve been happy with the Zojirushi brand; the old rice cooker still performs well and they make just about the best bread maker. So I asked for a new rice cooker for my birthday in February, one that could cook brown rice. Poppy did some research and got me essentially the newer version of what I already had. You know that awful moment of silence when you open a gift and the giver realizes it wasn’t quite what you wanted; you don’t want to hurt their feelings but at the same time in a case like this the new cooker was pointless. Evidently some folks on the internet had written that these basic cookers, designed for white rice, will work for brown if you adjust the amount of water you put in them and this is what he had read. But I had my heart set on one of the new ‘fuzzy logic’ rice cookers, with special settings for brown rice so that I wouldn’t have to experiment with water amounts. Plus, brown rice takes longer to cook, doesn’t it? So we packed up the cooker he got from Amazon and sent it back, and I found a good deal on one of these fancy ones. Poppy was very sweet about the whole thing once he got over his initial disappointment. I couldn’t wait until it arrived and was shattered when the FedEx man attempted delivery one day while I was out, necessitating an extra day before I got my hands on it. 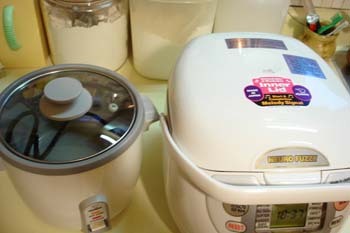 I don’t know if any of you have this particular rice cooker ; it was recently very well reviewed in the Wall Street Journal. The manual is quite thick but most of it is in other languages so there’s really not that much to absorb; even at that it’s quite incomprehensible. I put it aside that day and it sat in the carton for a month, until last night when I worked up enough courage to attempt to use it. My first shock upon actually taking the cooker out of the box was its size compared to my old one—it’s bigger than any other appliance I own except the microwave! Next was reading the manual and discovering that brown rice would take 82~108 minutes to cook. Why? It only takes 45 minutes on the stovetop! And I do wonder about all the rice-washing you have to do with rice cookers. This is something I never did until I got one of these, but their manuals insist on it—washing in quite a few changes of water, until the water runs clear. This takes forever with white rice! This new cooker has measurements and directions for varieties of rice I never heard of and will probably never cook, like ‘mixed rice’, ‘quick cooking’ (and somehow I don’t think that’s Minute Rice), ‘sweet rice’, ‘porridge’ (I wish that were oatmeal, but from the recipe that accompanies it, something with 7 vegetables, I don’t think so), and ‘semi-brown rice’. I guess the Japanese have as many words for rice as the Eskimos have for snow but some definitions for the American market would have been useful. (Or should I have said ‘Inuit’, or doesn’t it matter since the whole paragraph is so culturally insensitive that one word more or less couldn’t help). There’s also a special measuring cup and directions for something called ‘musen mai’ or pre-washed rice. I’ve never seen this anywhere but I wish I would so I could skip all this washing! Anyway, we ate some lovely brown rice for dinner but it took an hour and a half to get it on the table. This cooker has a timer and if I can figure out how it works I can theoretically put rice on in the morning and tell it when we want to eat, so perhaps I’ll take advantage of that. Or just start the rice a lot earlier than I’m used to. The old cooker cooks white rice really fast—in 15 or 20 minutes—so that’s what I’m used to calculating the rest of my meal times by. I haven’t used a rice cooker. Does it really make a big difference? I guess it does when you have a bunch of other things going on at once and when you’re making rice for a whole family instead of just two twigs like us. That’s great that you’re eating all these whole grains! I can’t really stand the taste of brown rice, but maybe you’ll find a recipe you really like and I’ll give it a try. I do enjoy quinoa, though, and barley (well, pearl barley, which isn’t a real whole grain). 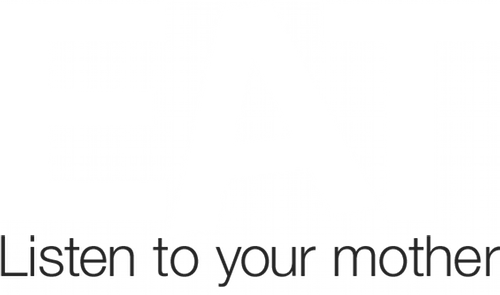 Have you tried spelt, kamut, or teff? They call out to me in the store, but how much of my precious shelf space can I devote to grains that I might never eat? Plus I’m not really that crunchy, and basmati rice is so lovely and easy. I don’t think it’s a question of flavor with brown rice; it doesn’t taste that different to me, but the texture is a lot different than white or basmati. Calvin would only eat white rice in the past but recently expanded his preferences, hence the new rice cooker. As far as the cookers themselves go, yes, I do think the rice comes out better in them—drier and fluffier, plus they’re fool-proof and they will keep the rice warm so you can start it in advance and forget about it while you’re preparing the rest of the meal. In fact my new cooker claims to keep the rice warm for 13 hours! In my hippie past I ate more grains than presently. Aside from bulgur wheat and Irish oats, and whole grain breads, the brown rice is about it. And whole grain pastas—Ronzoni, Barilla, and even Mueller’s are now manufacturing decent versions that are reasonably priced. I haven’t tried the Mueller’s yet but the other two are good and nothing like the doughy, leaden whole-grain pastas of yore. Yes, the Ronzoni Healthy Harvest is good, and it’s Cook’s Illustrated’s favorite. I had the De Cecco once and I might as well have been eating wood. So late to leave a comment, but I only just found your blog today, via a comment on mine! I do use the porridge setting for oatmeal, which I find works best if I set the timer and allow the steel-cut oats to soak overnight. It invariably results in bubbling starchy water coming through the top vent, but never in such quantity as to make a terrible mess. 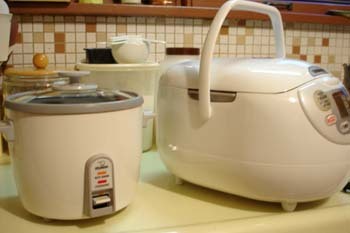 How do you like the rice cooker, a few months later? I will likely be writing about mine on my English blog, soon, since I use it so very much. Glad you’ve decided to try all of God’s grains!. I have a little panasonic rice cooker that cooks all the grains I put in.white brown 2/1 wild rice3/1. all others 2/1. steel cut oats 3/1. I’ve had it for almost 25 years! it never burns anything and somehow knows when the grains are done.Now that’s fuzzy logic! LOL, I found this online when trying to figure out the difference between “brown” and “semibrown” with my new zojirushi, the exact one you have. FYI: “Prewashed” rice is everywhere. However, the packages here call it “enriched.” The package directions will always say not to wash the rice. It’s prewashed in a way that allows the rice to keep more nutrients. However, one still should wash it once anyway to get rid of the few husks mixed in. I’ve tried the “porridge” setting after some research. It’s a somewhat difficult translation of “Okaya” also known as “congee” in China. Okaya is basically oatmeal, except that it uses rice. It’s a breakfast food and also given to babies. Ignoring authenticity, I made mine with cinnamon, nutmeg, and brown sugar. Yes, porridge, also called juk (jook) is soft, watery rice into which you sprinkle condiments such as salty pickled things, crispy fried things, meat and vegetables, or eat it with fried fish that has had hot oil and soy sauce drizzled over it. It’s not just for breakfast. I am also searching for the difference between semi-brown and brown rice with not much success. In the meantime, I am going on visual cues such as how much bran is left on the grain—more bran being more brown. So the porridge setting is for jook; that would have been useful to know when I had a lot of dental work last year. Right now the only thing I use this cooker for is brown rice, which seems like kind of a waste considering its price and how much counter space it takes up. If I had a smaller house and/or kitchen I would probably sell it on Craig’s List. BTW, Bruce, what kind of rice do you use for jook, any kind? Sticky white rice?